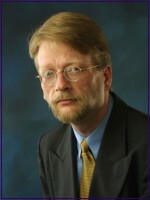 Douglas Vakoch, who has been involved with the subject of possible communication with extraterrestrial intelligence for many years, is currently President of METI International, a nonprofit research and educational organization dedicated to innovative programs in Messaging Extraterrestrial Intelligence (METI), the Search for Extraterrestrial Intelligence (SETI), and astrobiology. Prior to this he was Interstellar Message Group Leader at, and the only social scientist employed by, the SETI Institute. Vakoch conducts and promotes research on the cultural aspects of SETI and is particularly interested in how we might compose reply messages that would begin to express what it's like to be human. Supported by a grant from the John Templeton Foundation, Vakoch led the SETI Institute's project to compose interstellar messages that may some day be sent in reply to a signal from extraterrestrials. This message-making project describes the evolution of human behavior and morality, with an emphasis on altruism. Vakoch's work in SETI began over 20 years ago with his creation of interstellar messages for communicating with extraterrestrial intelligence (ETI). He also carries out research on the history of the extraterrestrial life debate, policy issues related to SETI, and possible psychological and religious responses to detecting a signal from ETI. Vakoch has a B.A. in comparative religion from Carleton College, and M.A. in the history and philosophy of science from the University of Notre Dame, and a Ph.D. in clinical psychology from State University of New York at Stony Brook. Prior to joining the SETI Institute, he conducted research on the evolution of speech perception and therapeutic communication at Vanderbilt University. As a member of the International Institute of Space Law, Vakoch examines international policy issues related to sending messages to extraterrestrials. Through his affiliation with the Department of Psychology at the University of California at Davis, he also studies people's reactions to the detection of life beyond Earth. He is a member of the International Academy of Astronautics SETI Committee, as well as IAA Subcommittees on Issues of Policy Concerning Communications with Extraterrestrial Intelligence, Media and Education, and the Arts and Literature.